When I compelled my list of surprisingly good books, I was so overwhelmed that I decided to pare it down to only 10-15 that I really had something to say about, and also to not discuss any books that I had previously blogged about. Thus, these books are not necessarily the best ones I read this year, they’re just the ones I felt like I could write 100-300 words about. The second part of this post will come tomorrow. 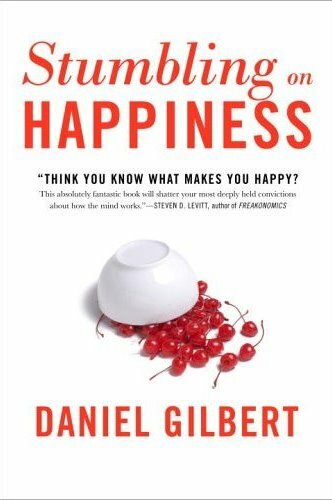 Stumbling On Happiness by Daniel Gilbert – This title makes the book sound like a self-help guide or a memoir, but it’s actually a sedate work of science popularization. This is a nonfiction book about why we’re unable to accurately assess what things will make us happy (and then achieve those things) because our brains basically our imaginations are not very accurate. When we are asked to imagine how we will feel in a given situation, we feel like come up with a pretty good simulacrum of that feeling, but actually, we’re totally wrong. In fact, the book is kind of pessimistic about whether human beings will ever (or should ever) overcome these failures of imagination. However, the most important thing to know about this book is that it’s one of the best written works of non-fiction I’ve ever read. There’s a certain non-fictional tone—one exemplified by humorous political books (like those of Michael Moore or Al Franken) or by travelogues for sedate people (like those of Bill Bryson) or science popularization books for teens (like those of Isaac Asimov) – that I find to be very cutesy and twee, and this book has a tone which is very much like that tone, except it is exciting and sharp. On a prose level, the book continually upsets your expectations (and it is very funny). It was only after finishing the book that I read (on the back flap) that the author (who is a professor of psychiatry at Harvard) has also published stories in Asimov’s Science Fiction. Does anyone know anything about that? I would really like to read those stories. 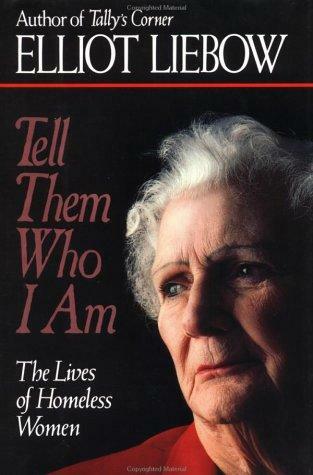 Tell Them Who I Am by Elliot Liebow – The author of this book was an anthropologist (the head of the NIH’s National Institute for Mental Health) who was diagnosed with terminal cancer, quit his job, realized he wasn’t going to die, started volunteering at a women’s homeless shelter, and ended up writing a participant-observer study about the shelter’s homeless women. It’s a very powerful and fascinating book about the day to day lives of these homeless womens: how they spend their time, their friendships, their romantic relationships, their monetary situation, and all kinds of other stuff. As a bonus, it is annotated with footnotes by two of the women (so they’re literally speaking at you and sometimes disagreeing with the author). It was really cool. I don’t know how generalizable the study is, but it’s always cool to get a glimpse into someone’s life, even if it’s just twenty women who lived on the streets, twenty years ago. Up From Slavery by Booker T. Washington – When I read this memoir, last December, I had tons of things to say about it. I had reams and reams of quotations marked out for the blog post I was gonna write. But then my Kindle crashed and I never got around to it. The first third of this book is about Booker T. Washington’s own struggle. It’s a fascinating portrait of a person and a people who are only one generation out of slavery (Washington was born a slave and was freed by the thirteenth amendment when he was like three or four). Washington got his education at a black teacher’s college and then went to go run his own college (The Tuskeegee Institute) and develop his own theories regarding the further socioeconomic development of his race (which are set out in the rest of the book). It’s well known that Washington did not view things the way that people do now. In some ways, his writings are kind of unbelievable. At one point he claims that he had never had a single experience of racism from a white Southerner. I wonder to what extent he self-censored himself because he knew he was writing for a mostly white audience. Still, there’s a tremendous moral force in his writing. In my recollection, every page of the book contained something exciting, beautiful, or startling. He reminds me of Gandhi (another great man who had some very simplistic views). 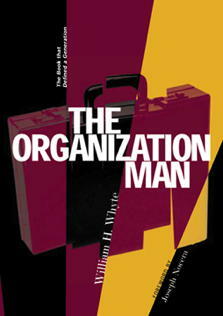 The Organization Man by William Whyte – This was Whyte’s 1950s indictment of the way that modern American men were becoming homogenous and risk-averse. This is truly an obsolete document. In 2011, there are no more Organization Men. Nowadays, no one has job security. Nowadays, sucking up the boys upstairs and expressing only the right opinions and living in only the right neighborhoods will not get you nearly the rewards that it gave you in the fifties. Still, this book is very interesting as a historical document. It’s a portrait of what can happen to the human spirit in a very affluent society. I have no doubt that if the good days ever come again (and, economically speaking, the fifties were very good days, with huge growth in wages, GDP, and opportunity), that we will start to see some of these conformity pressures once more. 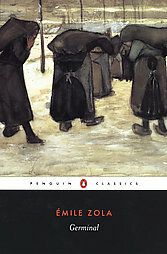 Germinal by Emile Zola – I kept meaning to write a comprehensive post about Emile Zola. So far this year, I’ve read six of his novels, and each one has impressed me with its grotesqueness and power. Germinal is the one that I read first, though, and it’s still my favorite. This novel is about a labor strike at a coal mine in 1860s France. Most of Zola’s novels are about how human beings are horrible and wicked and love to do terrible things to each other, but they paint that world in tremendously grand and heroic strokes. The typical Zola is a series of grand set-pieces: one chapter will be a mob riot; another will be a series of workers excavating for coal deep underground; another will be three morally bankrupt children picking flowers. He’s one of the few naturalist-type authors who is as exciting for his artistry as for his content. No one writes crowd scenes like Zola. And, although it still ends in death and despair, Germinal is actually a lot more hopeful than most of Zola’s novels. At least this one shows the heroism in united action (although the typical sexual and moral sordidness of Zola-world is also on display).